What are the Penalties for Cocaine Possession in Florida? Cocaine is a controlled dangerous substance, as defined by the federal Controlled Substances Act and Florida Statute 893. The possession of cocaine is a serious criminal offense that can result in jail time and substantial fines. 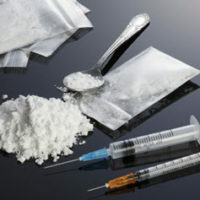 Like other drug-related offenses, the penalties an individual faces for the possession of cocaine depend on how much of the substance he or she possessed and whether he or she possessed it with the intention of distributing it to others. If you are charged with the possession of cocaine, start working with an experienced criminal defense lawyer as soon as possible to determine the right defense strategy for your case. Cocaine is a Schedule II drug, which means that although it has some accepted medical uses, these uses are heavily restricted because of the danger the drug poses to its users. There is a high potential for cocaine to be abused by its users because it is very addictive. Possession of 28 grams or more of cocaine is considered to be drug trafficking, which is a first degree felony in Florida. The penalties for this conviction depend on the actual amount of cocaine the individual is proven to have possessed and can potentially include life imprisonment. An individual is criminally liable for any amount of cocaine he or she knows about and can physically control. For example, if a bag of cocaine is found in an individual’s vehicle, he or she may face a cocaine possession charge even if the substance belonged to somebody else. Having direct physical contact with an illegal substance is known as actual possession. Knowing a substance’s location and having physical access to it is known as constructive possession. Proving that the defendant did not know about the substance and that it belonged to another individual. If you are facing any type of drug possession charge, start working with an experienced criminal defense lawyer as soon as possible to develop a solid legal defense strategy for your case. To move forward with a member of our team of experienced Miami criminal defense lawyers at Ratzan & Faccidomo, LLC, contact our office to schedule your initial legal consultation. We can answer your questions and help you determine the best way to proceed with your case.